Let’s start at the beginning of the donor experience: acquisition. Acquisition mailings can range from great triumphs that improve your house file and set you up for future fundraising, to total flops that are questioned in hindsight by management. A great number of factors determine where a single package lands in that range, from copy to creative to timing to mailbox competition. One surefire way to move your organization in the right direction is to use high-impact premiums. Their effectiveness boils down to three things. 1. Reciprocity. When people are given something, they feel obliged to give back something with a similar perceived value. Thus, when a calendar shows up in the mail, the recipient is more likely to donate to the cause it came from than if that same person received only a piece of paper. 2. Getting Noticed. Every day mailboxes get filled with piece after piece of physical mail. You open the box, pull out a pile, and sift through it. The easiest way to stand out from that pile is to give the package some weight and size that lead the donor to wonder what’s inside. This is especially important in acquisition, where the donor isn’t already looking for a package from you. 3. Getting Opened. The fact is, premiums in direct mail are linked to higher open rates. Getting pulled out of that pile of mail is great, but alone that isn’t enough. The next step, and a very critical one, is to get the donor to actually open up the package and look over it. Someone is a lot less likely to donate if they never get to see an ask or know where their money is going. Both of these are solved by including a high-impact premium to compel the recipient to open up that mail. One case study of 200,000 names revealed that adding a premium to an acquisition mailing (all other variables held constant) led to a 341% improvement in response rate and greater than a 50% improvement in ROI. This meant approximately 5,000 more donors and $104,000 more net revenue! These new acquisitions can fit into your mail plan and be segmented to propel continued fundraising success. A growing house file is a sign of a strong program and makes revenue easier to sustain and grow as well. Acquisition isn’t the only place where a high-value premium can be helpful, though. In those years when things just aren’t going right, adding a premium can provide the opportunity to start a turnaround. As deadlines approach, the concern for everyone is meeting projections; shoot low and you did something wrong, overachieve and be viewed in high regard. Adding a premium into a mail slot can lead to a budget boost right when you need it most. 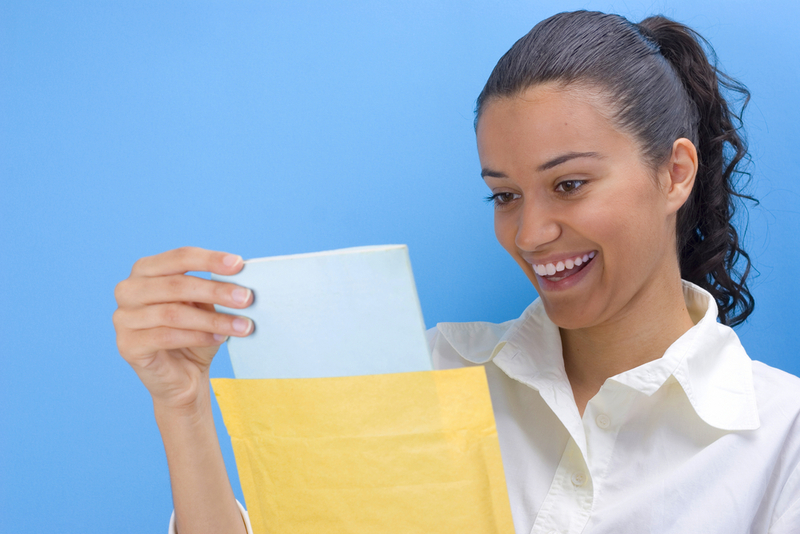 It is the simplest way to bring in more revenue from your direct mail. So whether your budget is ahead of the game or behind the proverbial 8-ball, premiums in direct mail could offer a helpful solution. Cadence is key. Like anything in life, use premiums in moderation. If someone gets a calendar in your package, odds are that results will be improved compared to a simple letter appeal. However, if you send someone 20 calendars in a year, or a full current-year calendar when it’s already November, your package is probably going to struggle. This illustrates the perceived value point noted earlier. The first calendar is more “valuable” as is one that can be used for the entire year. By switching things up and pinpointing which premiums will be most useful to the donor at what time, you can maximize their perception and get better results. KPIs should be the driver. Revenue is great, but as my boss likes to say, selling dollar bills for 99 cents isn’t a winning strategy. The point here is that there are benefits to premiums, and strategically they can be great tools in your fundraising arsenal. But they do cost more than a newsletter, and results should be analyzed to ensure that they are bringing in more than they cost. This doesn’t have to necessarily mean only money. Volume in a donor file has value, too, so even if the premium seems like it is not returning your investment now, if you’re acquiring or retaining thousands more donors, then that benefit should be accounted for also. Let’s pull back a bit, though. Direct mail premiums are not the end all be all. As we all know, there are a number of factors in any decision that affect the outcome. And, there is certainly more to direct mail than throwing a calendar into an envelope and reaping rewards. What they are, though, is an incredibly valuable option to pair with a good strategy and awareness of the other factors in order to drive a higher response rate and increase revenue. As part of a cohesive strategy, high-impact premiums can be the boost your fundraising efforts need to push you to new heights. The benefits are vast and if implemented well can lead to rewards that really make a difference for your organization and ultimately, your cause. Grant Novins is a Marketing Data Analyst at Innovairre Communications, which supports more than 500 nonprofit organizations around the world. To learn more about using premiums in your fundraising strategy, contact us at Answers@Innovairre.com; subscribe to our newsletter here; and follow us on LinkedIn and Twitter.